Added by admin on March 28, 2018. Poland has signed an agreement to buy the Patriot missile defence system from the US, in a move that is likely to anger Russia. President Andrzej Duda said the “historic” $4.75bn (£3.4bn) deal gave Poland “state-of-the-art” defences. It follows reports that Russia had permanently deployed nuclear-capable missile systems in its territory of Kaliningrad, which borders Poland. Ties between Poland, a Nato member, and Russia remain strained. Moscow’s annexation of Crimea from Ukraine in 2014 has prompted Warsaw to speed up its military modernisation. Earlier this week, Poland was one of many countries that expelled Russian diplomats in response to a nerve agent attack in the UK on 4 March. Moscow denies any involvement in poisoning former Russian spy Sergei Skripal and his daughter, Yulia, in the southern English city of Salisbury. So, what about the missile deal? The largest weapons agreement in Polish history was signed at a ceremony in Warsaw on Wednesday. 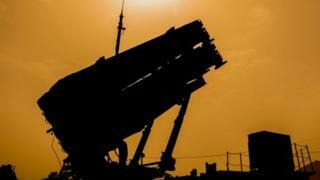 Defence Minister Mariusz Blaszczak said the Patriot missile defence system had “proven itself in numerous countries”. He added that his country was now “joining an elite group of states which have an efficient weapon that guarantees security”. Much of Poland’s military equipment currently dates back to the era when communist Poland was in the Moscow-led Warsaw Pact, says the BBC’s Adam Easton in Warsaw. The first deliveries are expected in 2022. This comes as the US is developing its controversial anti-missile shield in Europe. In 2016, America activated a land-based missile defence station in Romania, and a similar base is being built in Poland. Russia has repeatedly warned that the shield undermines its strategic nuclear deterrent. It is an advanced surface-to-air missile system designed to defend against aircraft, cruise and ballistic missiles. The system, produced by US defence company Raytheon, is used by the US and a number of its Nato allies.